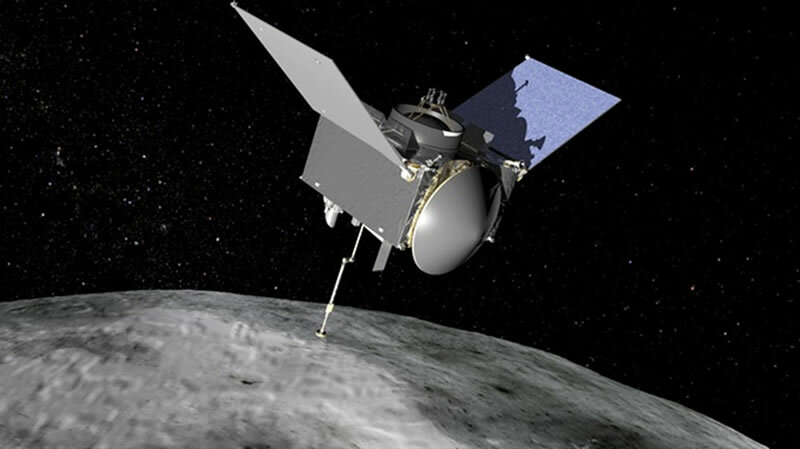 The OSIRIS-REx spacecraft concludes a two year cruise to asteroid Bennu in December 2018. The spacecraft will then spend two years mapping the asteroid before selecting a location on the surface to retrieve a sample to return to Earth. Like the Moon, asteroids bear the scars of a violent history of impact events on their surface. Using trays of sand, flour and cocoa powder, children can model the formation of impact craters using various types of “impactors” (e.g. 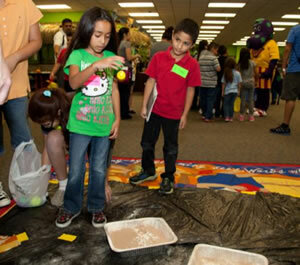 golf balls) in the Making Impact Craters activity. This activity may be conducted in a variety of educational settings, including informal learning settings such as a public library, science center, museum, etc. with elementary and middle school-aged learners.